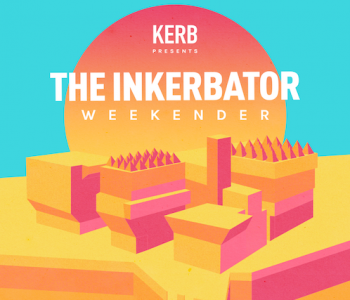 Ahead of our InKERBator Weekender at Southbank, here’s a fun game – compare and contrast the difference between our traders pre and post-incubation. What does the glow up look like? Who’s transformed themselves the most? What parts of their set-ups have lasted the distance? Out of the 49 who’ve graduated since 2017, here’s our Top 10 picks for biggest transformations! 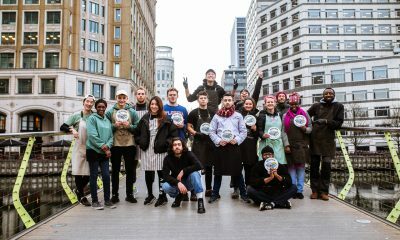 Feb 2016 at Walthamstow vs March 2019 at KERB KX. Here’s full time dad, Nick, looking slick. First day inKERBating, May 2017 vs trading at BeaverTownEx, September 2018. 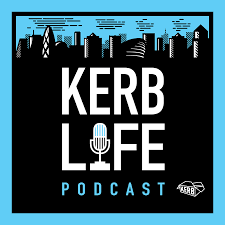 Ebenezer and Alamo’s mums used to drive them to King’s Cross every morning to set-up their gazebo and they served their jollof in those tiny cup-sized paper pots! One year later: 24 year old Ebenezer’s slashing Suya steaks up front and loading beautiful jollof bowls topped with kelewele and housemade Nyiragongo hot sauce (one of the best KERB dishes to date). 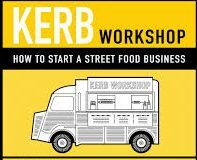 May 2017 at KERB KX vs July 2018 at KERB St Kats. Pinning that fried egg up top (kraPOW!) to represent their Northern Thai family recipes and massive hearts. 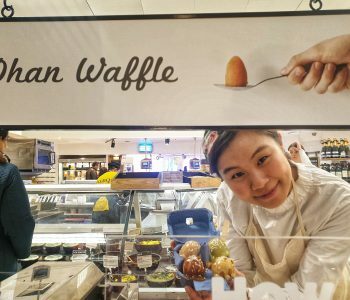 Taiwanese fried chicken queen, Lani. On the right, her beautiful set up at a #KERBCaters event last year vs first week of trading at KERB King’s Cross in May 2017. 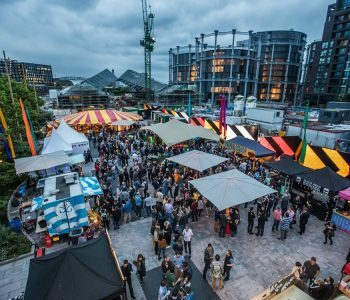 First day trading at KERB West India Quay September 2017 vs their first festival set up in August 2018. 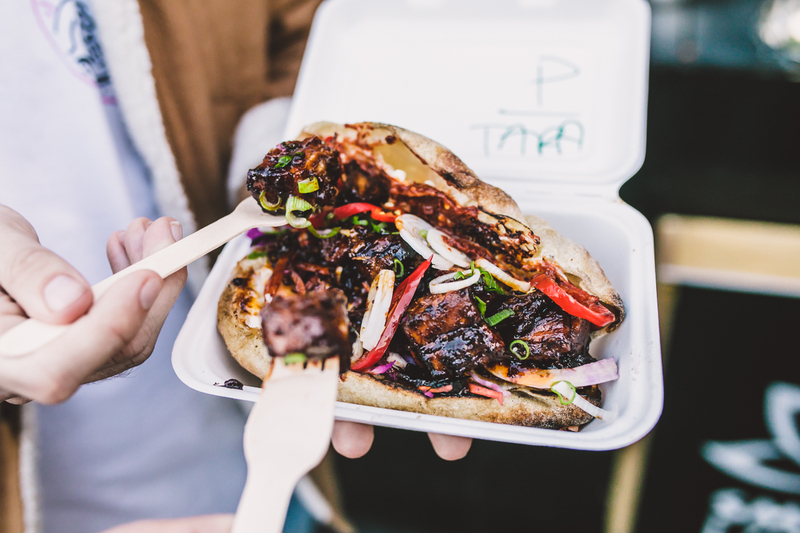 Eat Chay are now trading across 6 different sites simultaneously, including a permanent spot at Boxpark Shoreditch. 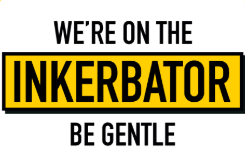 Their initial branding brand looked cold and clinical and didn’t leave them much room to grow – rebranding to yellow gave them a clearer personality and Liz and Joe have grown their team quicker than any other inKERbator. They’re still climbing. Feb 2018 vs March 2019. Oz and Sheena refined their branding and put the focus on what they do best. Switched from pork burgers to signature ‘smashed beef’ patties sourced from the London restaurant world’s favourite butcher, Nathan. You can spot a Zephyr burger a mile off – with those signature pink pickled onions, American cheese, chives and crunchy bacon shards. 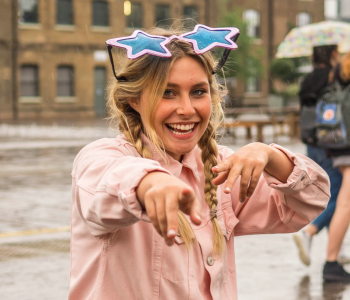 They launched a permanent site at Peckham Levels last November and are smashing records on Deliveroo too ? 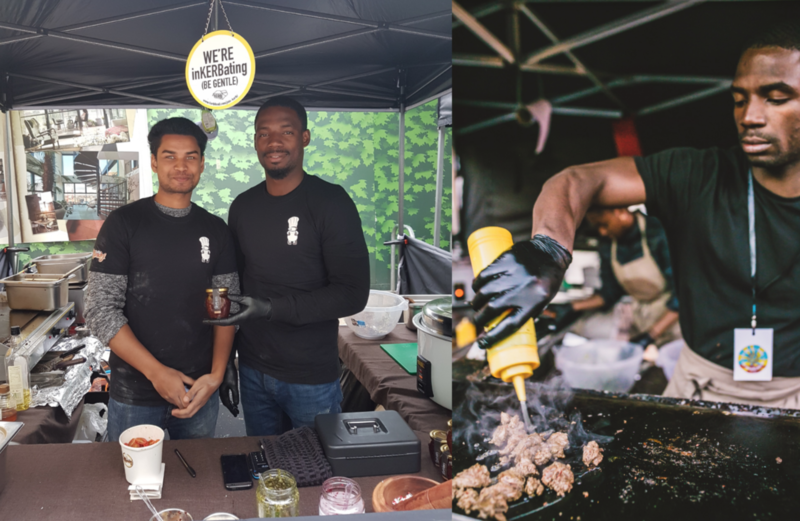 May 2017 vs August 2017, Sam and Max went from two friends selling loaded spuds (that sold well at pub residences) to carving up Korean BBQ belly at the front of their stall. Why? All in all, they weren’t selling great at lunch markets as Spud Brothers and were getting fed up of putting a lot of effort in and not really getting anything financial back from it. Their top dish was the Korean short rib on chips, so they decided to pivot their business to Hanok and go all in on the Korean BBQ. 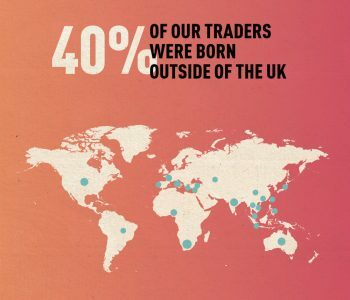 They saw an immediate improvement, and shot up into the top 10% of traders. 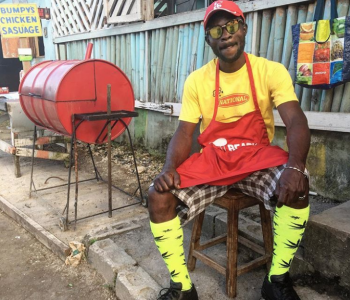 They made the decision to put more investment into the business even when it was struggling. And show off their chef skills too. 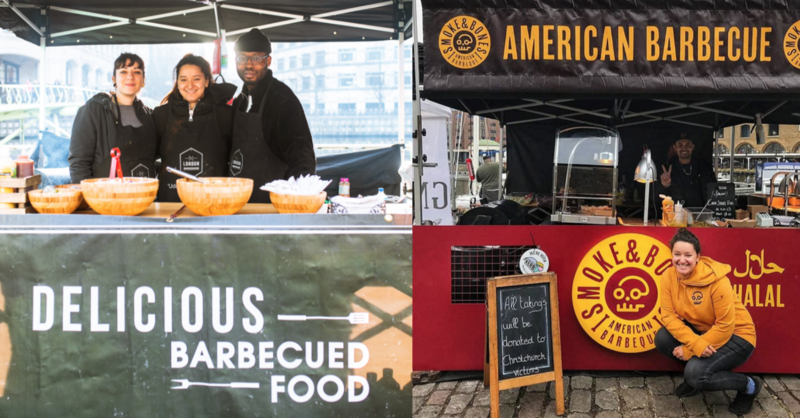 Chatsworth Market in 2015 vs 2018 trading at KERB West India Quay, with signage to match that eye-popping black bean and plantain peanut stew. 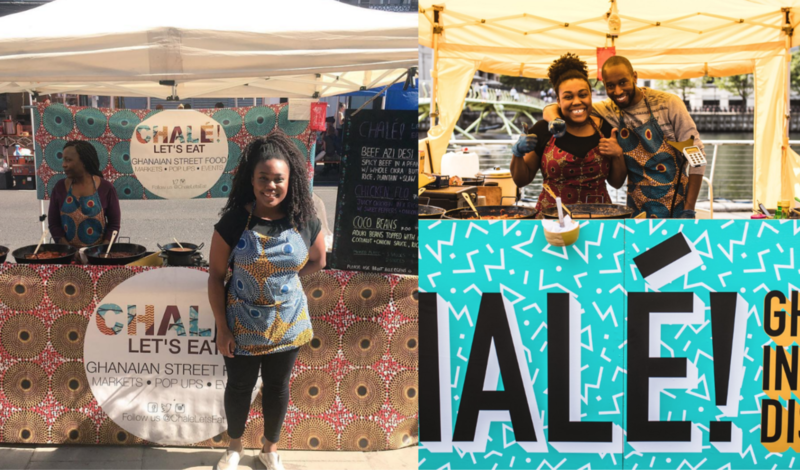 Chalé was founded by Alicia Ama in 2014 to bring flavours from her family origins of Ghana, Togo and Guyana to London’s streets. Her food was amazing but Chale’s branding and setup didn’t match it. We pitched the idea to Alicia to use the colour and style of her West African fabrics as the backdrop for a new Chale rebrand and look at it now ? Pre-incubation April 2017 vs Feb 2019 at KERB St Kats. 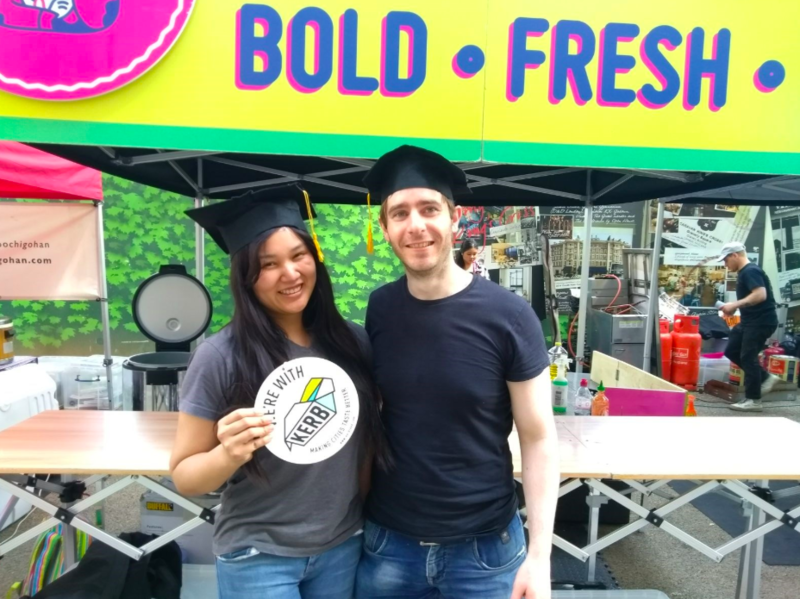 To give her a stronger difference point at markets Katrice King changed the name from Mexicanas to Mexikings and developed her menu from Mexican tamales and flautas to ‘ancient Aztec’ rice bowls (pleasing our hungry lunch crowds!) On the current menu: new smoky lamb barbacoa with grasshopper chilli salt and homemade mango habanero – try it! First day inKERBating August 2018 vs. March 2019 at KERB St Kats. 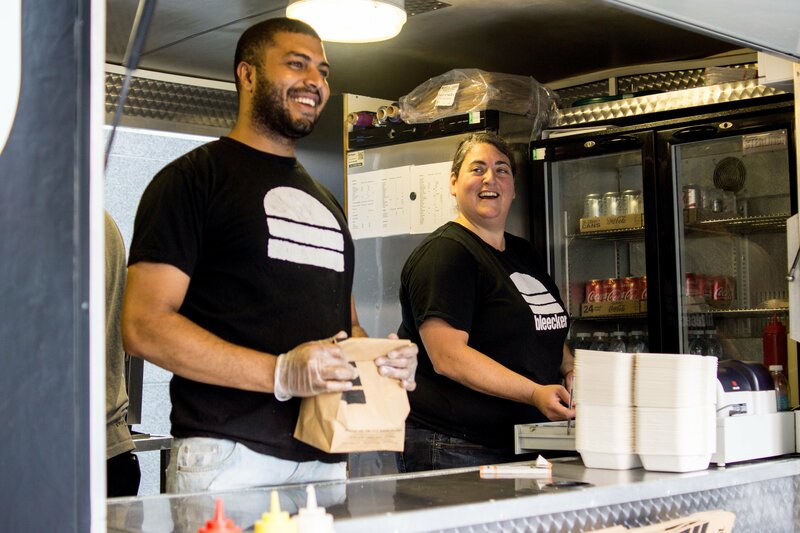 The first female halal smokehouse in London and full-time mum Meriam rebranded at the start of this year. Our advice to Meriam: she had an amazing, premium product, but the brand didn’t match it. So she hit up Goodwin&Goodwin to do their rebrand and now it looks great. (Although we miss their quote “smoked slower than a Southern rail train…”) She’s tweaked her menu and slapped a showstopper 10 inch wagyu beef rib on the menu underlining it as a premium product (with smoked chicken sausage on the side). 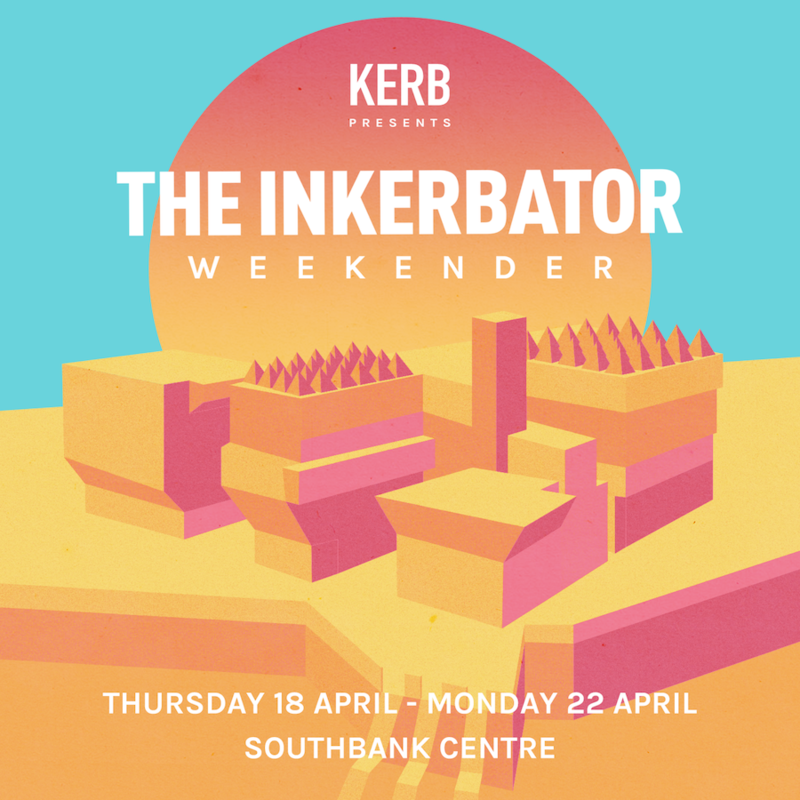 Look out for 24 of our inKERBator graduates at the Southbank this Easter!